TECHHT, LLC is the premier source for high end Cinemascope automation. We are a custom designer for automated systems and controls including engineering design, microprocessor design, device fabrication and production. 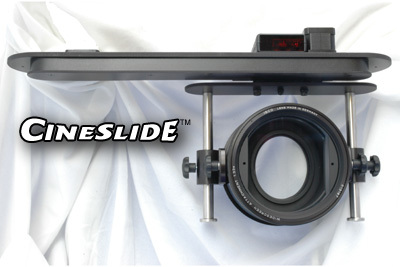 - Owns, manufacturers and distributes the CineSlide™ anamorphic lens transport system. - is a full-line dealer for Schneider Optics' Anamorphic lenses. - Partners with selected high end OEM's, system integrators, home theater specialists, specialized installers, and dealers to provide excellence in 2.35:1 theater systems. Once you have a 2.35:1 system, you can never go back. Please visit our related websites for information on our products and services. Scott Horton, President, TECHHT, LLC.